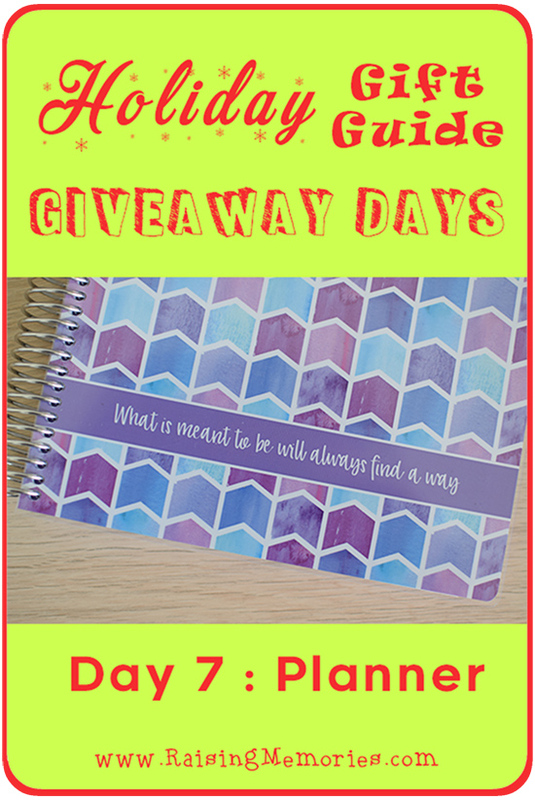 Today we're giving away a Planner from Plum Paper! If you missed the announcement, it's Gift Guide Giveaway time and today is Day 7! I'm trying a new planner for 2019 and I'm really excited about the new layout I've chosen! You can check it out in the little video below. I have used "fun" planners for a few years now- planners that are colorful and personalized. I love doing this because it makes it fun for me to stay organized and I have one place to keep everything organized (so I know where to look for my notes)! As much as I use computers, I just find a paper planner works better for me. I think a planner would be a great gift for any mom, or better yet, a gift certificate to make a personalized planner, and choose the layout that works best for her! If you do decide to buy the planner ahead of time, Plum Paper has some ready-to-ship planners too! You can find those here. For today's giveaway, one of you will win the 2nd planner shown in the video above! You can also find notebooks, journals, stationary, accessories, and even a fun planner subscription box on the Plum Paper website! I would love this, I would actually gift it to myself from Santa, love my planners! Awesome!! Love to keep my life organized and Plan things. Along with some tech gifts will gift this planners also to my office staff. My mom would love a planner for Christmas. I would love to gift this planner to my daughter for Christmas. This would be a great gift for my sister in law. Who do I know that would love a planner for Christmas? Besides me (! ), my step-daughter! I would love a planner for Christmas and am in need of one for 2019. I would actually love this for myself. I would love this for myself, but I have friends who do shift work that would also benefit from a good planner. my aunt loves planners and would adore this! My daughter would love a planner. My daughter is in her first year of college and she needs this!